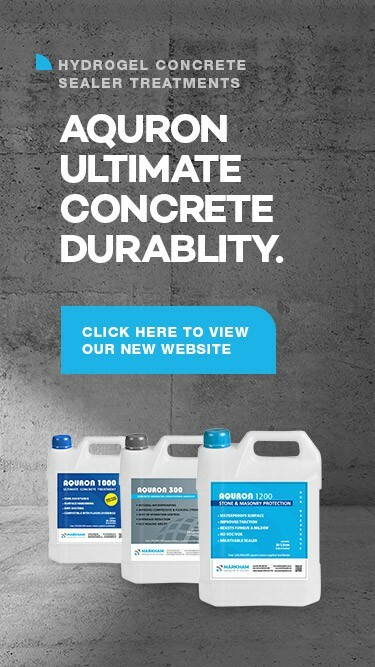 Excellent curing for new concrete is A2000's first key benefit. AQURON 2000 provides even hydration throughout the concrete matrix, maximising flexural and compressive strengths and significantly reducing shrinkage and slab curl. Tendencies for crazing and delaminating of the surface are also reduced by AQURON 2000 curing. AQURON 2000 only provides curing benefits when applied as soon as the surface is firm enough to walk on. AQURON 2000 CURE & SEAL has been proven to be at least equal to water & polythene curing. It eliminates the cost and hassle of water curing and allows quicker access to the surface. AQURON 2000 testing on concrete according to ASTM C309 CURING STANDARDS complies for moisture retention. AQURON 2000 does not need to be removed prior to flooring installation, like traditional curing compounds. AQURON 2000 is the most cost effective method of controlling moisture beneath floor coverings/coatings with the extra benefit of improved concrete.